You have probably heard the story that Christopher Columbus defied the consensus of the flat earth by taking his voyage, but that is a myth. The truth is, most people believed the world was spherical, even from ancient times. 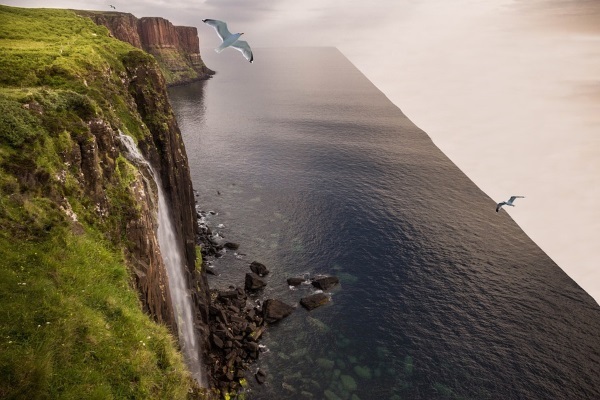 Sure, there have always been a few folks who believed the world was flat, but for some reason, there has been an increase in flat earth proponents in recent years. Unfortunately, professing Christians are getting caught up in this, as well as secularists. In my opinion, some of those Christians want to feel superior to those of us who believe in the spherical earth because they really believe the Bible. But it does not teach this. Some atheists are milking the idea that the Bible teaches a flat earth in one of many efforts to misrepresent Scripture and especially biblical creation science. Kind of like when J. Edgar Hoover's enemies spread the discredited story that he was a crossdresser. One tinhorn is doing the typical atheist thing: he found some creationists who believe the earth is flat, therefore, the Bible and creation science are wrong. But then, if I recollect rightly, logic on his planet includes square circles and married bachelors, too. To continue the "I'm special" belief, these professing flat earth Christians believe outrageous conspiracies, including all of NASA lying for decades, and that all science supporting the round earth is wrong or fake. Impugning the integrity of other Christians inside NASA as well as others does not seem to matter to them. But it must be true, it's on YouTube! Taking it further, these religious folks also take Bible verses out of context. While they're saddled up and riding the Out of Context Owlhoot Trail, they bring in extrabiblical texts like the Book of Enoch. Some give excuses for believing it, although it has no basis to be accepted as authentic. Worse, they take parts of Enoch's supposed book out of context, sometimes even ignoring parts of verses that refute their claims. This is not exegesis, old son, this is eisegesis — and beyond. The Book of Enoch is an important source for those who promote the notion that the earth is flat. A few portions of this rather long book teach that the earth is flat, but other passages are ambiguous about the earth’s shape. Flat earthers are selective about which portions of the Book of Enoch that they cite, because other passages clearly contradict aspects of the flat-earth model promoted today. The book of Enoch almost certainly is pseudepigraphal because there is considerable doubt that the patriarch Enoch wrote it, despite the claim within the book that he did. The Book of Enoch is not canonical. Therefore, it ought not be used to interpret Scripture, particularly in claiming the Bible teaches that the earth is flat. To finish reading this very interesting article, click on "The Book of Enoch and the Flat Earth". For more posts and articles refuting the flat earth stuff, I assembled several of them here.